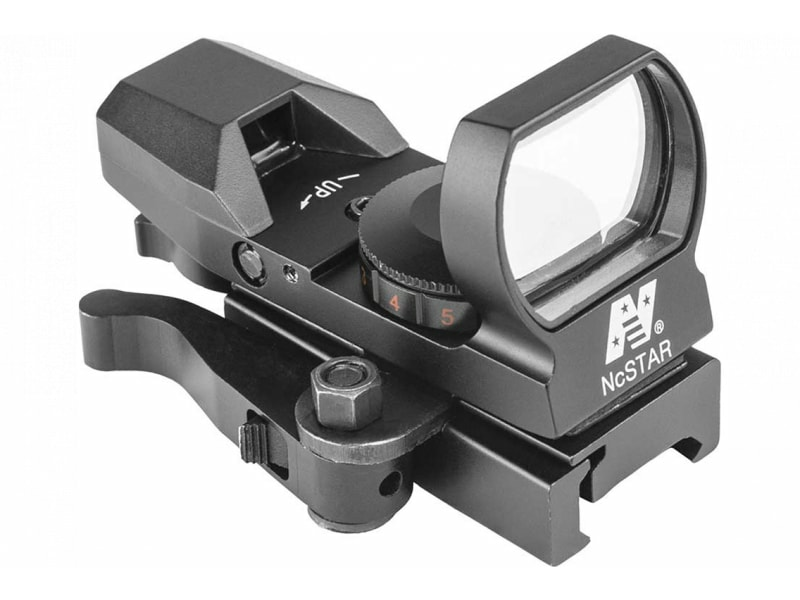 NcStar D4RGBQ: The Red Four Reticle Reflex Optic by NcStar features reticle choices of dot, bullseye, cross, and starburst. 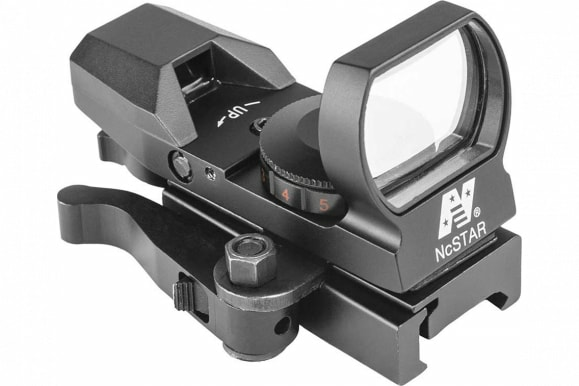 The LED is 100% safe for the eyes, and there is unlimited eye relief for flexible mounting. The rheostat knob allows the user to choose from 7 brightness settings, and the optic is powered by one 3V lithium battery (CR2032 or equivalent). 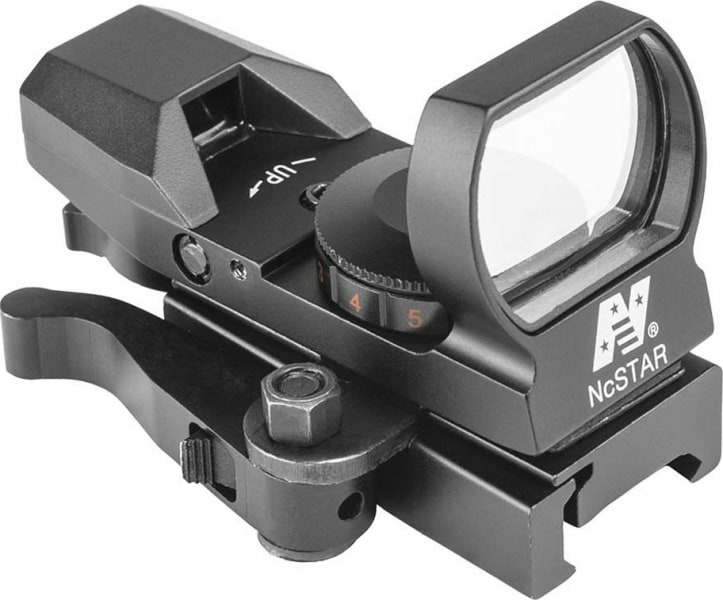 This optic features a black anodized aluminum body, a rubber lens cover, and a built-in Weaver-type mount for installation on Weaver or Picatinny-type rails.